IronRock Software creates Vismatica and Worpx, and offers consulting. 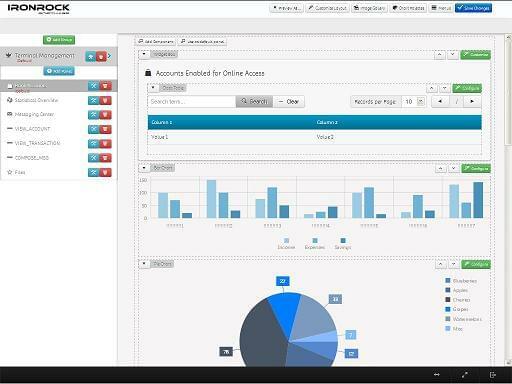 Vismatica by IronRock Software is a dashboard design software for small and medium businesses. Vismatica allows you to customize the branding of the dashboards to your log. The platform stores data in an SQL database, from which you can draw tables, lists, forms, and filters to access the data required for you visualizations. Flexible dashboards can be designed quickly with chart templates such as pie, line, scatter, and bar charts, all of which can be customized to draw appropriate data from the SQL database. Vismatica also allows you create forms you can send to your users to collect data that will feed directly into your database. Learn everything you need to know about Vismatica. Our experts will reach out to you shortly.